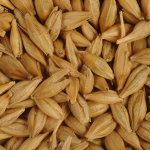 Barley offered by our group is of the finest quality, free from excessive fats and has balanced protein content. Barley is considered to be versatile cereal grain which is rich in flavour and also a high nutritional source for dietary fibre, selenium (a type of antioxidant), Vitamin B1 and other important minerals and vitamins. It is used as animal fodder as well as plays an important role in the human food as well. It is also used as base malt for beer and also a valuable component in various health foods. Barley can be a great choice for people with Type 2 Diabetes since it is effective in reducing glucose and insulin responses, even more than oats. It prevents one from gallstones as it helps speeding up the process of food through the intestines and also helps in reducing secretion of bile acids. Barley is also a source for Selenium which is an antioxidant that helps in maintaining thyroid metabolism and also immunity in general. This also helps in decreasing symptoms of asthma and arthritis and heart diseases.